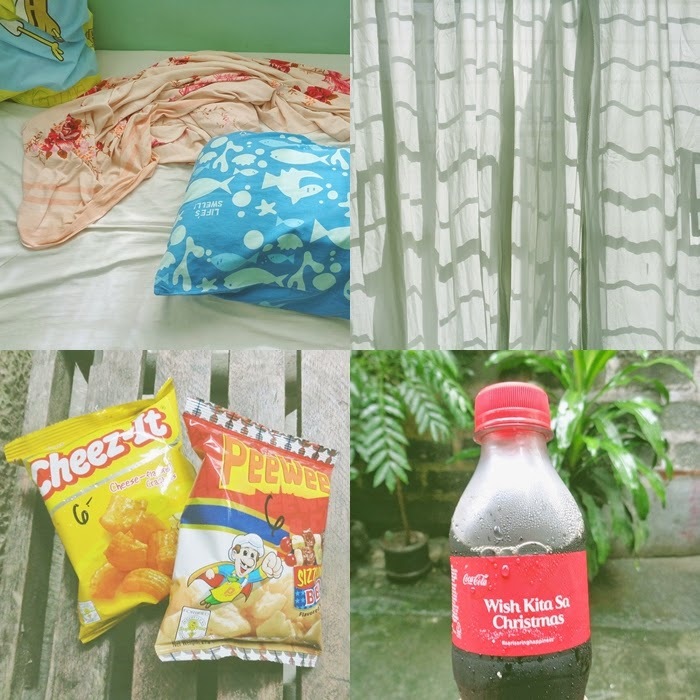 Setting aside my repetitive Birthday and Christmas sentiments, here are the few beautiful things that made my past week. The challenge of waking up early in December?!? - This semester is better because I don't anymore have evening classes. The trade off of this is having 7 am classes. Recently, I'm not anymore seeing any drop of sunshine before going to work. 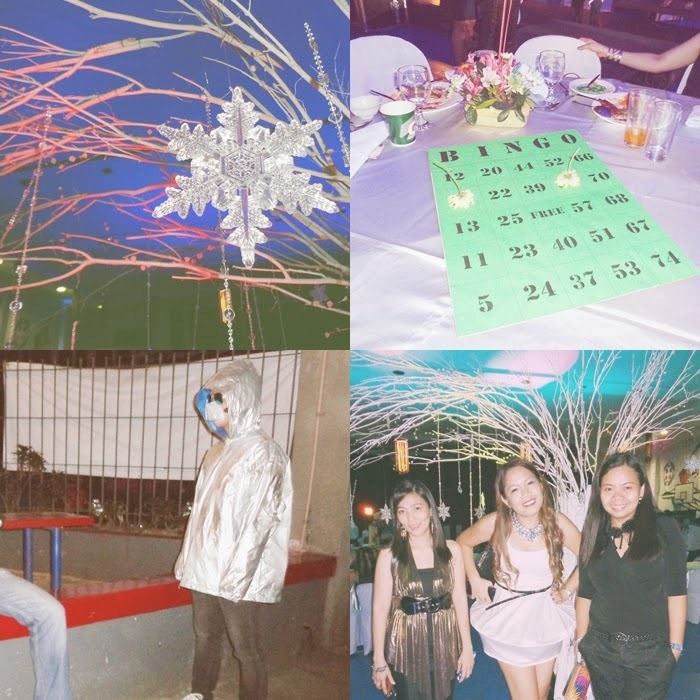 Snippets from the workplace's Christmas party - This year's theme was futuristic?!? Like, Lady Gaga, The Fifth Element, Star Wars? If only I have the body and confidence, I would love to be Catwoman hahahahaha I ended wearing all black. There were colleagues who really came all the way. Wish I could seek permission to share their photos. What I can only share is from my boss, whose costume I didn't understand. Haha Aside from getting entertained with my colleagues' costumes, I enjoyed the group bingo game. Every table was given a life size bingo card to play with. My favorite from Brownies Unlimited - The cheapest yet tastiest cupcake for me. Pardon the repetitive appearance of this cupcake in my blog. But this has been my constant and favorite companion whenever things at work are not doing well or when I have those unpredictable mood swings. Vanilla Cupcakes - Great food, Cath Kidston and the company of my favorite bloggers!!!! Will blog about this during my most awaited Xmas vacay. Guess where I went after! - Two people gave me a free trip to Cath Kidston. Ang bait nila sobra! Will blog about this soon. I will always associate Cath Kidston with you and The Bright Spot. 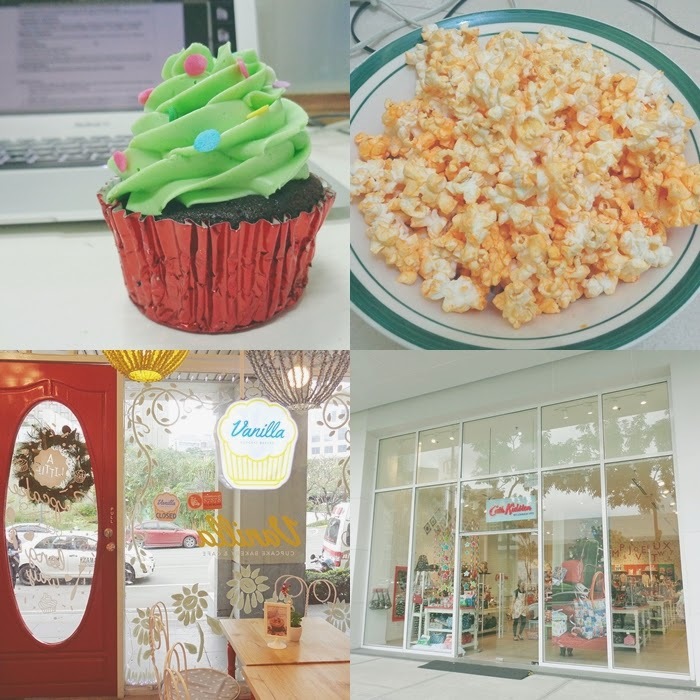 After they opened their first store in the country, I knew sooner or later you were gonna blog about it. Hehe! Looks like a fun party! I wish I knew of party's to go to and dress up for :-) When is your birthday? I can't wait for your blog about who have you a free trip to Cath Kidston! So jealous. Happy looong birthday to you! :-D ang lakas makaubos ng pera ng birthday mo, pero i'm sure more blessings din naman. Enjoy! Happy Birthday! :) I'm excited to buy my first Cath Kidston. Meron na pala dito, ang dami ko dati nakikita sa Tiendesitas pero fake. Garretts is popular here in SG. Pero one time I brought a few tubs of Chef Tony's dito sa office and nagustuhan nila esp yung something with cheese. Kaya ayun lagi na syang pasalubong dito. Mas gusto ko pa din ang Chef Tony's (na PH product) kesa sa Garretts.